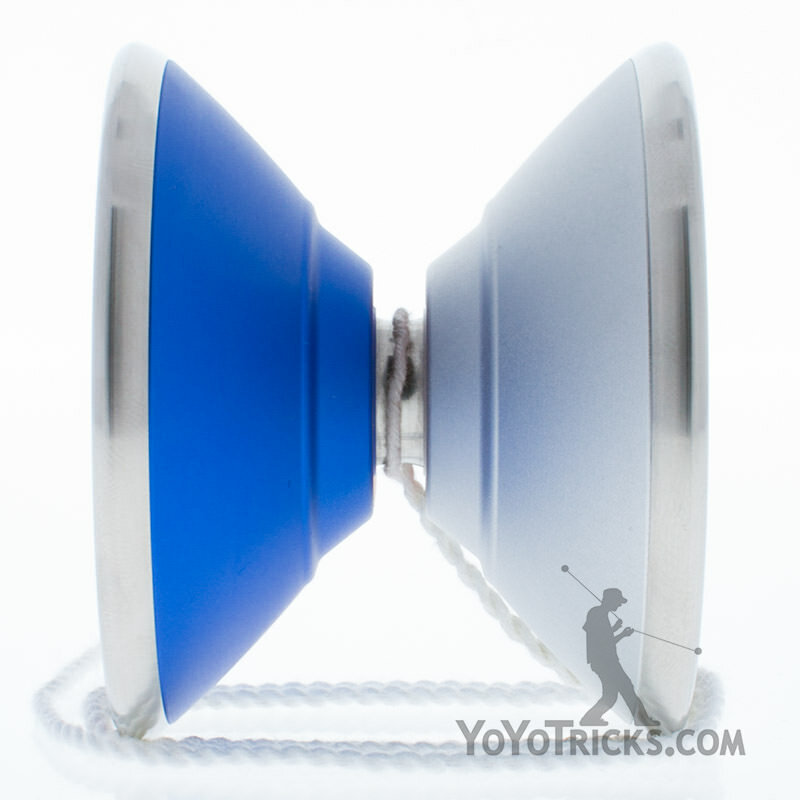 The YoYoFactory Marco Yoyo is an absolute bulldozer of a yoyo made for the most extreme tricks. It’s big, wide, super rim weight heavy, and just rolls through anything you can throw it at. The design of the Marco Yoyo is based off of the legendary Horizon Yoyo, sharing many physical attributes as well as design philosophy. On the profile, there are two stainless steel weight rings on the rims. 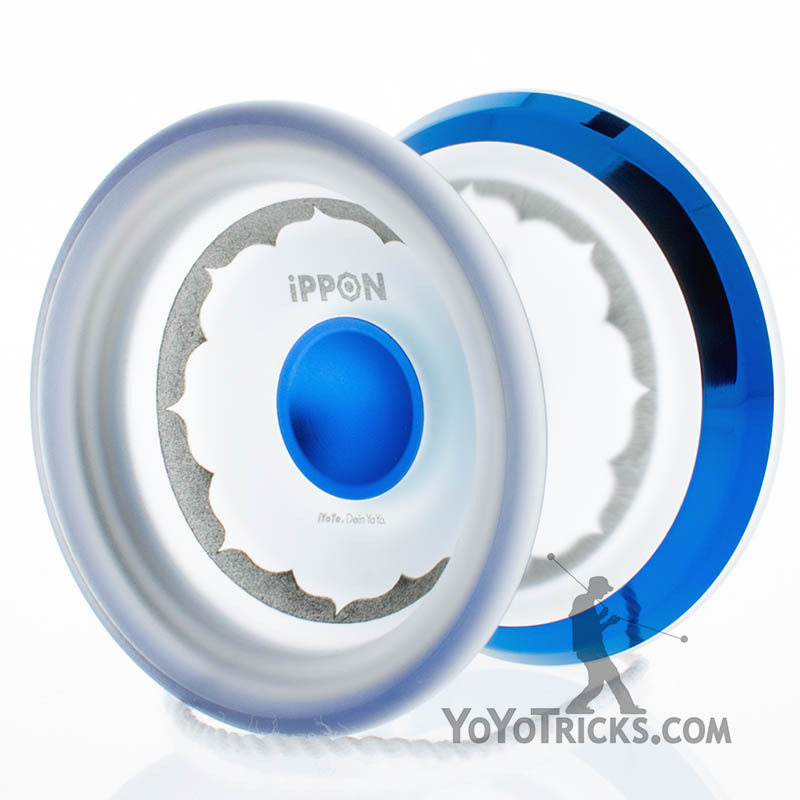 They might look a little thin, but they actually wrap around the edge of the yoyo, all the way to the inner edge of the rim in the cup. 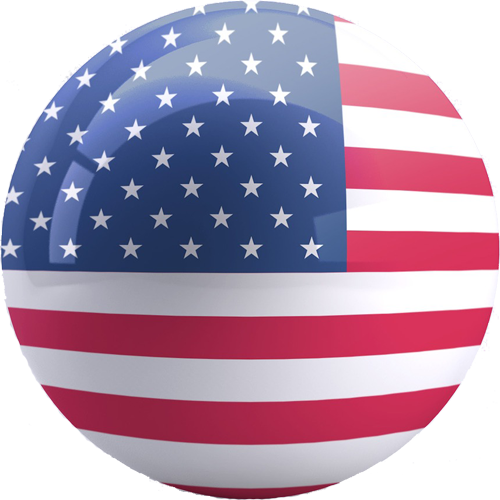 This means that there is a lot of steel there, which adds a significant amount of rim weight. The profile then starts to slope down toward the bearing with a rough V shape, and then changes angles to make a step off the bearing. The cup looks very similar to the Horizon, with a super wide finger spin bowl that takes up almost the entire inner up. 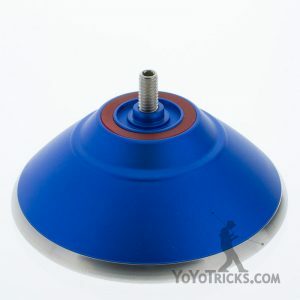 Though these types of finger spin bowls require a bit more practice to make work correctly, they are capable of some of the most extreme finger spin tricks, as we explain in our finger spin video. 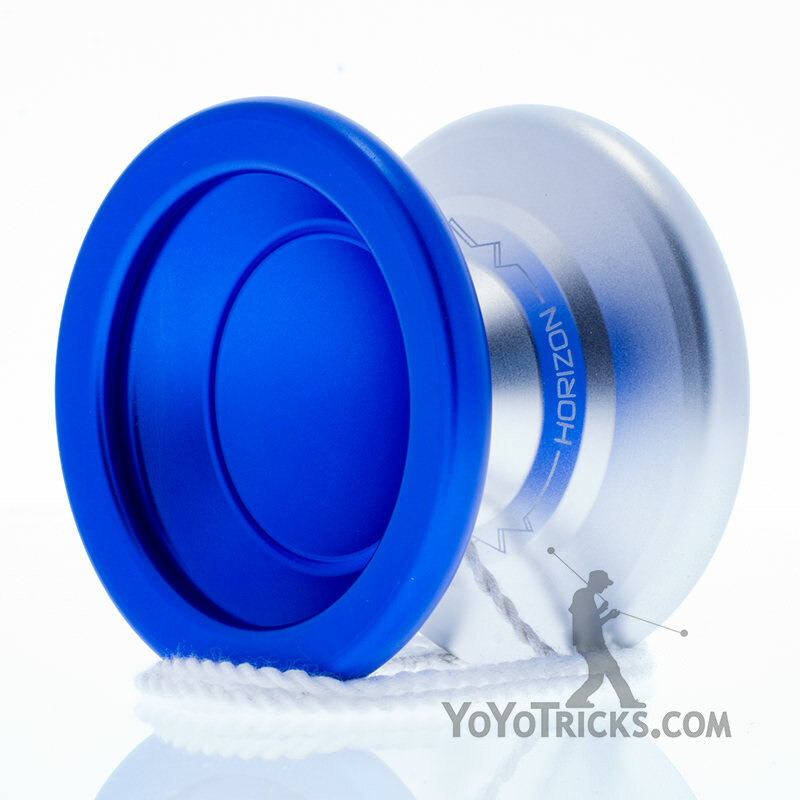 When first playing with the Marco Yoyo, we were surprised at just how powerfully it spins. 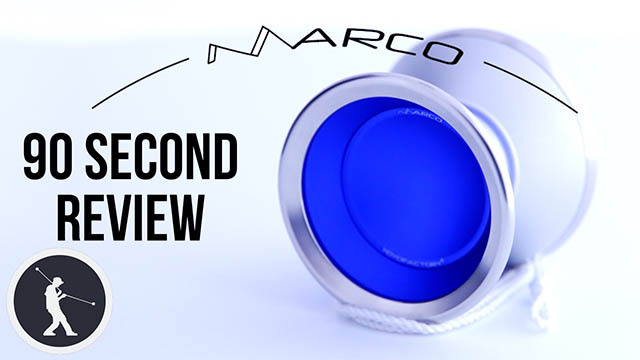 We get the impression that the Marco was designed for stability and power first and everything else second.After throwing the Marco we could just keep trying our tricks, over and over, without having to catch and throw because the Marco just wouldn’t tilt. 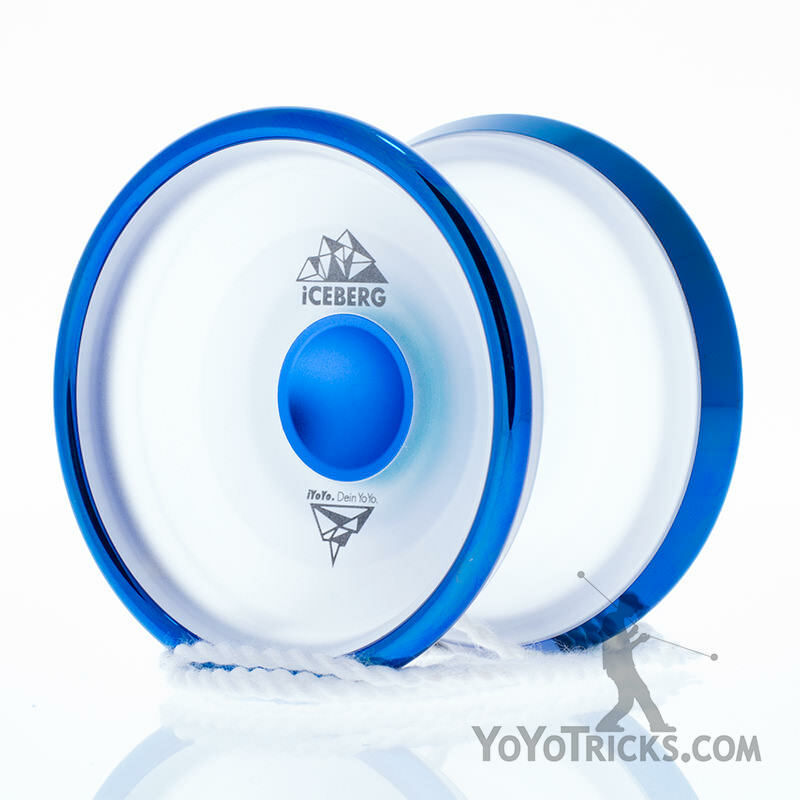 The Marco is incredibly forgiving, which is an essential trait for any yoyo you want to use to practice extreme tricks. Whether it’s a trick where you do backflips or a horizontal hop combo the likes of which the world has never seen, the Marco just keeps on spinning, ready to move on to the next trick. We love the Marco because it feels like it opens up new possibilities. Tricks that were once thought impossible now seem within reach with the Marco. This is one you definitely don’t want to miss. 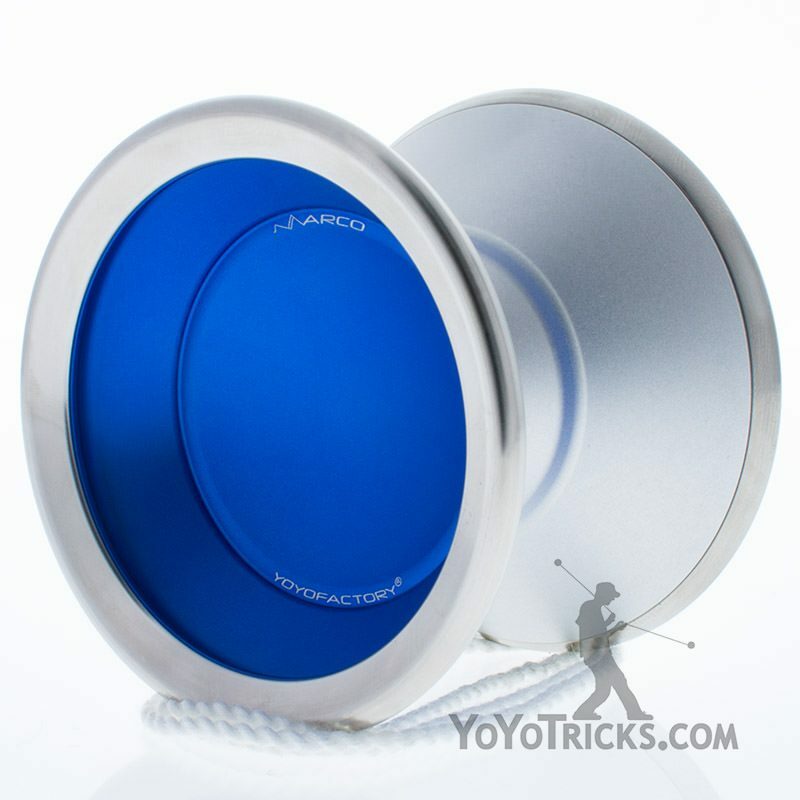 The Marco Yoyo is also available with discounted accessories here. Its roots are heavily in the HORIZON line it comes from. Its wider and and to keep the speed and power steel rims are utilized. 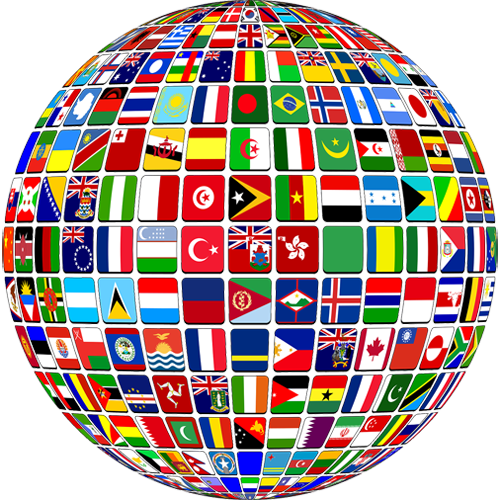 In the hand you will find inspiration to bust bigger tricks and play like Polo.